It's a new month, and you know what that means: we're here to bring you the best new Japanese learning resources. This time we've got a fancy new app, a grammar website, a touchingly nerdy show, and some familiar faces. LingoDeer is like Duolingo or Memrise with a CJK focus (that's Chinese, Japanese, and Korean). In fact, the app has a similar feel to both in terms of teaching methods and app functionality. But thanks to LingoDeer's narrower focus, it creates a much more streamlined experience. LingoDeer has three language options: Korean, Japanese, and Chinese (Mandarin). You can switch between all three at will, so you can study one or all of them at once. I did test all three, but I'm going to focus on the Japanese content, because I assume that's what you're all here for. You begin in one of three tabs: Learn, Review, and Me. The Learn Tab presents two options: Alphabet and Nationality. 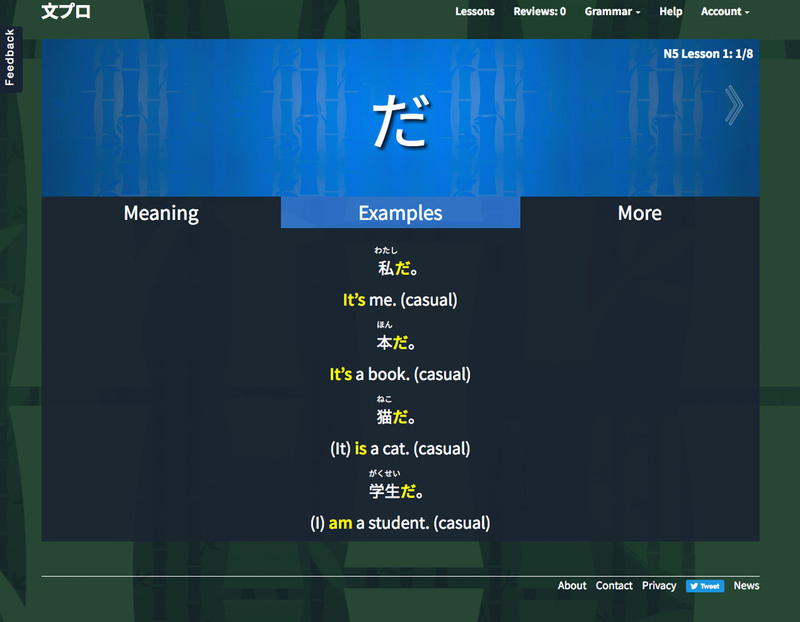 These basically gives you the option to skip learning kana if you're already familiar. The lessons contain small chunks of what I'll call "learning" and larger chunks of review and practice. A new piece of information is usually introduced with pictures containing captions with kana, kanji, and romaji and then taught with basic matching. You learn new information in small sets, usually two or three to start, and then start immediately putting your knowledge to practice. The actual teaching happens outside of the lessons. When you return to the category and select "Learning Tips," LingoDeer goes into all the detail a small textbook would. So if you're having trouble learning the meaning from context (which many apps want you to do nowadays) you don't have to search too far to find your answer (hopefully). These sections explain things like grammar points, particles, and sentence structure, as well as basic warnings for context and usage (polite vs impolite, for example). The illustrations are very nice and the sound design is even better: you can play audio for everything easily and the sound effects offer satisfying feedback. The sounds actually make the app feel better. This is something you'll notice in really good games, but not so much in Japanese study apps. Even getting something wrong gives you a pleasant little sound. Also, the quality of the voice recording and Japanese pronunciation is top-notch. It's clear, well pronounced, and hasn't gotten repetitive or obnoxious for me (yet). "Where does this phrase go, drag it to the right position"
The quality and attention to detail on LingoDeer is impressive. If you like similar apps of this style (like Duolingo), I'd definitely recommend giving this app a try. Sometimes the pattern will also mix things up. I was surprised to see two images, the United States and Japan, and hear the audio say, "あの人は日本人です." It wasn't asking me to match "アメリカ" or "日本" to their pictures, but making me think about the meaning of the sentence and what picture fit best. As you finish smaller lessons, you can move on to more or review the material you've learned so far. In the Review tab you can review everything or choose between vocabulary or grammar reviews. And within those two options, you can either do them all or break them up by the category in which they were taught. Those become Anki-like cards with "Perfect," "Good," and "Weak" self-assessments. Then you have the typical stats page which lists your overall learning time, day streak, and a few achievements (if you get them). You can also adjust your display (I recommend removing the romaji and hiragana as soon as possible), set reminders for yourself (daily with specific times), as well as an option to download all of the content so you can use the app offline. There are a few issues, of course. One is that the content is limited. It seems to contain about the same amount of teaching as similar courses and apps for Japanese. It'll give you a handle on what most people consider "the basics" of Japanese (generally about Genki I and II or so). Not bad, but this app won't take you to advanced level Japanese. Since it's such a new app, there are a few bugs. One I ran into a few times was an audio error, where random audio I'd heard earlier would play while I was matching items. Another downside is you can't skip or "test out" of content. Thankfully, going through material you already know isn't too much of a time sink. 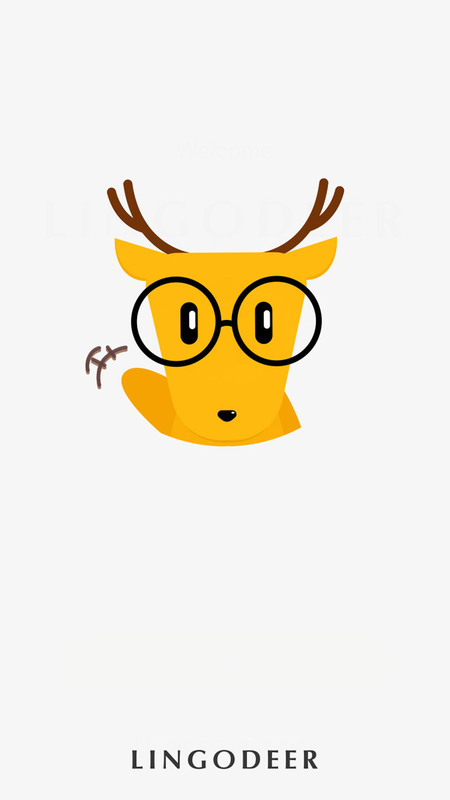 All in all, the quality and attention to detail on LingoDeer is impressive. If you like similar apps of this style (like Duolingo), I'd definitely recommend giving this app a try. They've got Mandarin and Korean too, so if you want one place for all your beginner CJK needs, this app can do it all. 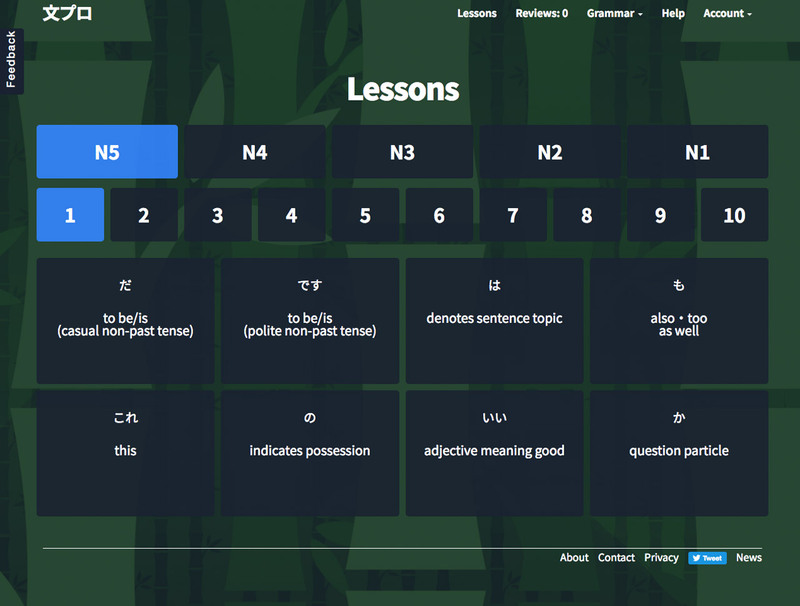 Bunpro takes a similar approach to the WaniKani system of spaced repetition with typed answers. But instead of kanji, it teaches and reinforces grammar. 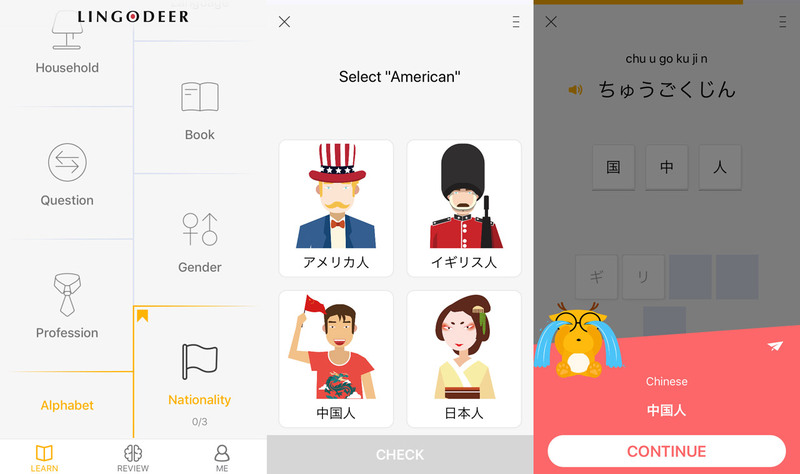 Linking to free grammar resources outside the app like Tae Kim, Imabi, and PuniPuni, Bunpro splits grammar up by Japanese Language Proficiency Test (JLPT) levels. Those levels (N5–N1) are then split into ten groups. Clicking on a grammar item shows meaning, grammatical structure, simple example sentences, and two or more outside explanations to help you learn the grammar point. This is where you'll be able to click directly to a free resource, read through, and then come back and click the little checkbox to tell Bunpro you learned it. Once all the supplied grammar points have been learned, they'll enter your review queue. Bunpro gets huge bonus points for forcing users to type, actually making them recall the answer. Reviews show you the sentence examples from the lessons (one at a time) with a text field to submit your answer. Bunpro gets huge bonus points for forcing users to type, actually making them recall the answer. Multiple choice is the favorite of language learning apps, but it just tricks your brain into thinking you really know it. Other great things about Bunpro: the English translation/hint can be toggled (we recommend keeping it off if you can), and the IME automatically converts to Japanese for you. The little arrow under the text field lets you review entire lessons, if you get an answer wrong or if you just need a refresher. Reviews are SRS-based, meaning the more you get them correct, the longer the intervals between those reviews. The more you get wrong, the shorter the intervals between those reviews. You can also look at your user page to see your progress, number of correct answers, and when your reviews will be coming back around. The site currently has grammar for JLPT N5–N3 as of the end of September, with active bug fixes and improvements being done by the creators. This little site has a ton of potential, so we'll be keeping our eyes on it. Netflix has been churning out the original content for the last few years, and thankfully, this includes Japanese language content perfect for studying, like Terrace House and Samurai Gourmet. Now 光のお父さん or Dad of Light joins the list. The story is simple: a son, wishing to become closer to his newly retired father, buys him a PS4 and the game Final Fantasy XIV. The son is secretly hoping to become friends with his dad in-game, strengthen their knowledge about each other, and then admit who he is after they've become great co-op buddies. 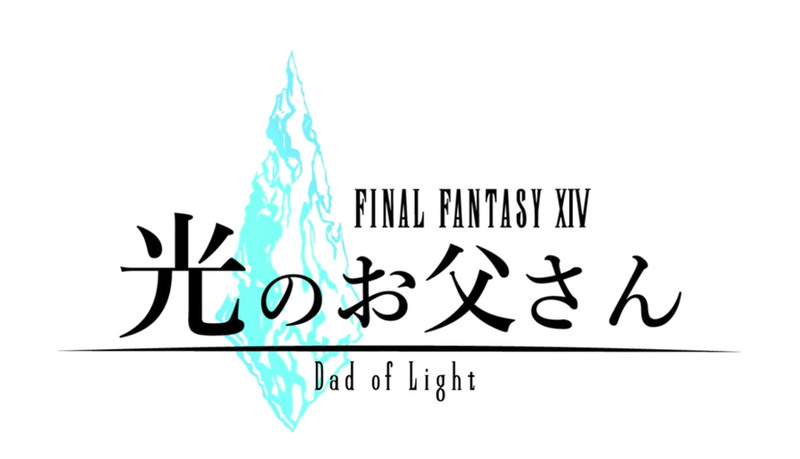 The title, Dad of Light, is a play off of the in-game name for the heroes from the third Final Fantasy game, 光の戦士 or "Warriors of Light." The two had bonded over older Final Fantasy games in the past. If you have a hard time with father-child stuff, this can be hard to watch. Honestly, as a woman who grew up playing games with her father, I was already crying about ten minutes into the first episode. But heartwarming/heartbreaking/goofy dad story aside, this show is great for upper-beginner/intermediate students of Japanese! The conversations are slow, simple, and usually revolve around family, the workplace, or gaming. Gaming terms are introduced gently through the teacher of the not-so-tech-savvy sixty-year-old father. The most difficult are workplace and after work drinking conversations, but even those should be easy for an intermediate student to parse. During some scenes, the members of the "Free Company" (an in-game guild) type to one another, so it isn't all listening and vocabulary practice. You get some reading too! There are a few weird, unrealistic portrayals of the game experience itself. For example, whatever the players type comes out of their character's mouths as spoken dialogue (which FFXIV definitely isn't capable of doing). But it makes sense narratively. Some of the Machinima-style animations can be jarring—though I'm an avid player of this MMO, so perhaps it won't be so awkward if you're unfamiliar with the game. Also, be aware this show is very much an advertisement for Sony and FFXIV. The characters play the game, the soundtrack is straight from the game, and well, basically the whole thing caters to the huge Japanese fanbase for Final Fantasy. Again, I'm biased because I love this game, but I'm sure anyone can be moved by this heartwarming story about a father and son trying to reconnect. Sometimes a resource gets updated, releases a new part in a series, or we just have something small we want to share (and we aren't sure about it yet). Below are a few of those! 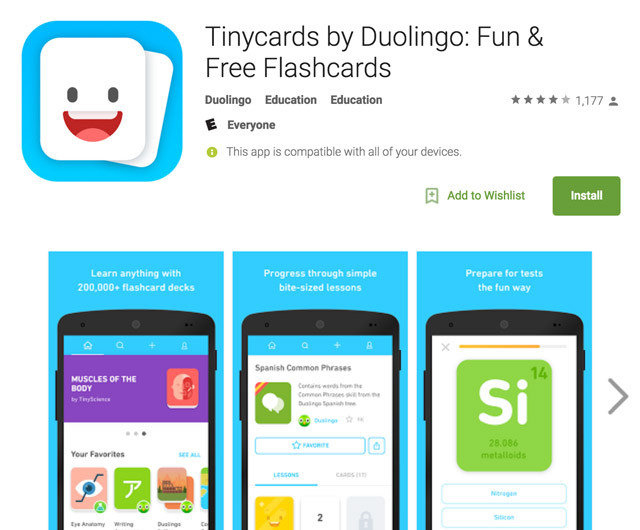 If you're new to Duolingo's SRS flashcard app Tinycards, check out what we had to say about it in the January edition of New Japanese Learning Resources and our Definitive Guide to Spaced Repetition. 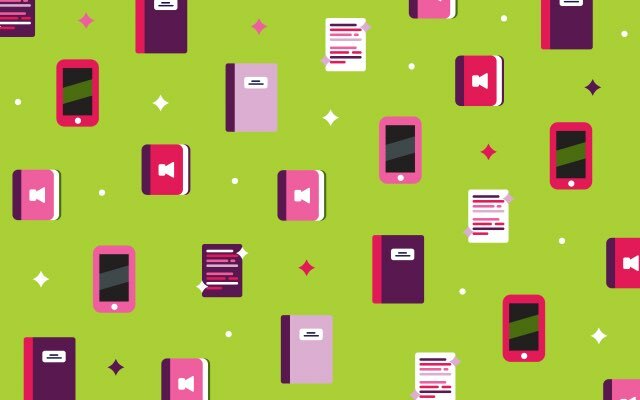 All the features we mentioned previously are finally available to Android users, including the growing library of user-created flashcard decks. If there's one thing Duolingo does exceptionally well, it's clean, user-focused design and this app is no exception. Reviews are a breeze, creating cards is a snap, and the entire interface is intuitive. Within minutes of trying out a new feature, I knew exactly how to use it, all without any annoying tutorials. But the problem Japanese learners will face when using Tinycards on Android is the input method. When reviewing cards you're sometimes asked to type the answer on your keyboard. If the answer is in Japanese, you need to switch to your Japanese keyboard. Tinycards does not switch for you like WaniKani and Bunpro do. This can get frustrating if you're entering a lot of Japanese readings and English meanings during the same review period. If you've been having trouble learning kana, and you love Tetris, this could be the game for you. The game doesn't teach anything else (no grammar, vocabulary, kanji, or anything). But if you've been having trouble learning kana, and you love Tetris, this could be the game for you. 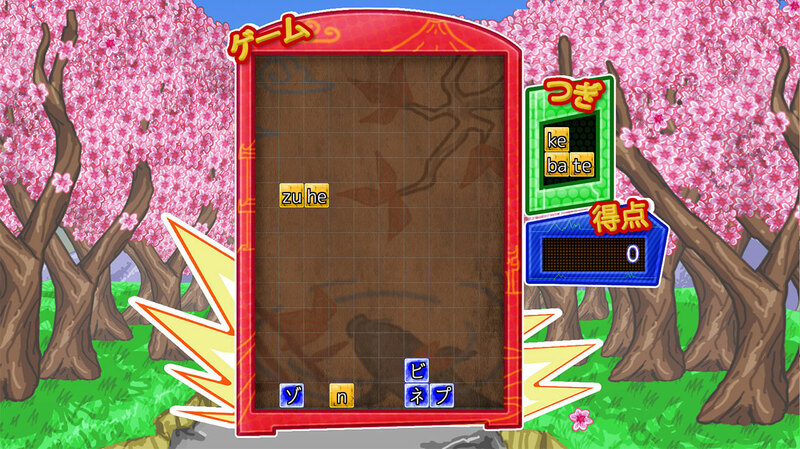 The training mode teaches batches of kana at a time. First hiragana, in あいうえお order (voiced alongside their unvoiced partners), and then katakana. The difficulty curve is steep, in that adding more characters means less chance of seeing something you need to study. Is it worth the price? Probably not. It's similar to most free flash games that have been released online for the last decade. But I did have a good, frustrating time playing through the early levels. For the sake of not repeating ourselves too much, I won't go into detail about this one since we mentioned these readers last month and the month before. 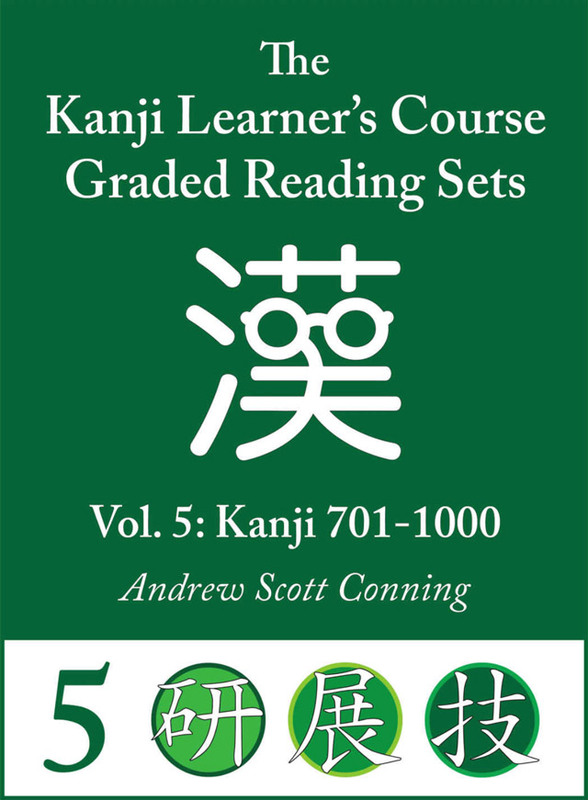 But Set 5 of the Kodansha Kanji Learner's Course's graded readers was released! So if you're already on this train, welcome to the next car.